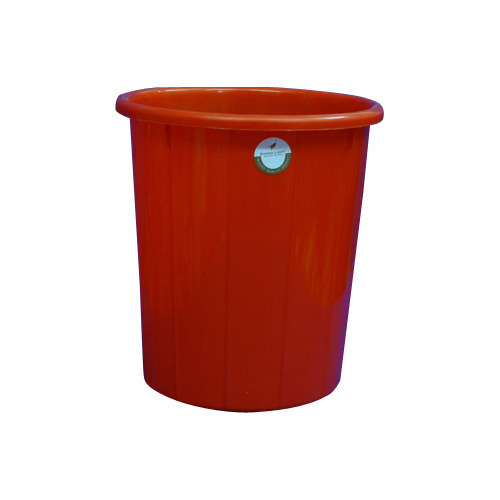 We have emerged as the leading organization for providing Plastic Garbage Dustbin. Designed to precision, this dustbin is made by our skilled professionals from finest quality raw material to ensure its conformity with the industry quality standards. Our dustbin is sternly examined by our quality experts before the final dispatch of our products. This dustbin is available in diverse sizes, colors and finish and can be customized to meet the exact needs of the customers. Established in the year 2014, in Hyderabad, (Telangana, India), we, “Siyara Light” are the leading manufacturer and supplier of an outstanding collection of Cleaning Broom, Cleaning Brushes, Packaging Tape, Sink Strainer, Plastic Buckets, Plastic Basket, Plastic Dustbin, Plastic Tubs, Cotton Mop, Gas Cylinder Trolley, Plastic Containers, Plastic Chairs, Plastic Mugs, Sink Plunger, etc. Widely used in homes, restaurants, hotels and other food industry, these products are manufactured by our skilled professionals. For the manufacturing of these products, we make use of high grade raw material and advance technology in adherence with the set international quality standards. The raw material used to manufacture the offered product gamut is procured from the reliable and certified vendors of the market. We manufacture our products under the brand names "Siyara Light Better Quality, Better Lifestyle". These products are appreciated for their durability, reliable performance, corrosion resistance, excellent finish, low maintenance, easy to use and long service life.